The global chemicals industry is undergoing phenomenal structural changes as China and India, the two emerging manufacturing powerhouses of the world leapfrog in terms of cost leadership, production capacities and in recent years, quality as well. The markets of the industrialized developed nations are becoming increasingly open to the cheaper imports from these low cost factories of the world. The catch phrase is no longer "products of outstanding quality" but rather "sufficient quality with lowest cost". The challenge therefore is for manufacturers from the developed countries to identify vendors from countries such as China and India or even South East Asia who are able to meet their quality specifications but at a lower cost. This is often achievable due to the less stringent environmental regulations as well as the overall lower production cost arising from cheaper land, labor and equipment. 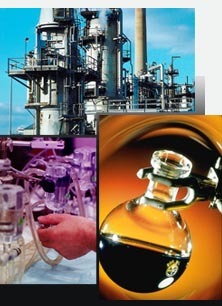 Many however, find that managing consistent product and service quality a lot more challenging than expected, not to mention the need to constantly scrutinize the assay or purity of the products delivered since some Asian vendors seem to believe that “cutting corners” to improve their bottom line is an acceptable practice as long as it goes unnoticed by the overseas customer. As long as these challenges continue to prevail, there will always be a role for companies like Planet Chemicals. Being a Singapore company, owned and managed by a team of professionals who were formerly senior corporate executives with Multi-national Corporations, we can fully empathise with customers from the developed countries who take quality, reliability and integrity seriously. We look forward to working with you in delivering products that are competitively priced and yet without compromising on lot-to-lot consistency in quality and service reliability.